After an F4 tornado strikes Hallam, Nebraska, a total of 55 dogs, nine cats, and an iguana all make it back to their owners through the extraordinary efforts of Lincoln Animal Control and the Humane Society. 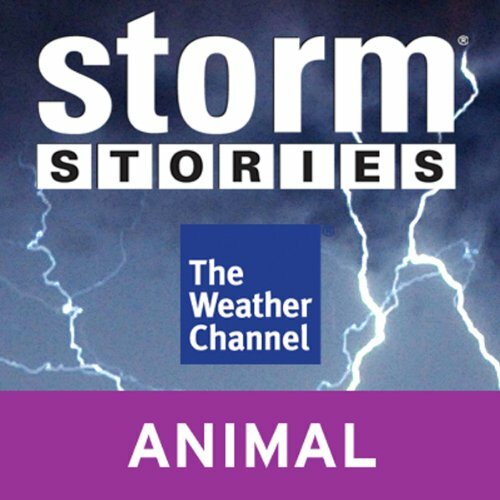 Cloudy with a chance of disaster: listen to the entire Storm Stories series from The Weather Channel. Would you try another book from The Weather Channel and/or Jim Cantore? Weather Channel snippets can be a nice break from listening to other more serious or involved audiobooks. This one, however, rankled. Everything was geared towards "that one special animal" that people had. Other animals beware. 'Cause if ya don't survive? Nobody's paying attention. This is 1.5 stars rounded up. Would you ever listen to anything by The Weather Channel again? I can only listen to these, as I said, when I have "audio-fatigue." But .95 and less-than-21-minutes of listening time can sometimes be a motivator for me. What can I say? I'm scatterbrained that way. What three words best describe Jim Cantore’s performance? If you could play editor, what scene or scenes would you have cut from Storm Stories? Why even mention that people have cats or other dogs if one finds that, ultimately, they don't survive, aren't reunited with their families, and that families really don't give a rat's patoot as long as they get their "favorites" back? Very disheartening. Plus, punctuating (for what? drama?) the soundtrack with a "Woof!" or a "Meow!" causes the giggles. My favorite was, "Some animals didn't want to be caught: 'Meow.'"